This multi-disciplined Hawke’s Bay company is currently experiencing an impressive period of growth and a widening scale of work. CPM owner Robbie Gale recently purchased Russell Roads, merging two civil works companies which independently boast an expansive skills base. The result, says contracts manager Daryll Pugh, is a company that is not only the fastest growing in the Hawke’s Bay, but one that can also offer more in-house services than the competition. "The merger has been an extremely positive move, because we can now offer a multitude of services; the sort of stuff that many other companies would have to sub out, we can handle in-house," says Pugh. "As a part of the merger we have developed a management team which is made up of very experienced personal with a number of years in the civil industry. The team includes the director of the company, two engineers and contract managers, three onsite operation managers, a qualified accountant, estimator, an office manager, health and safety manager, along with accounts and payroll managers." 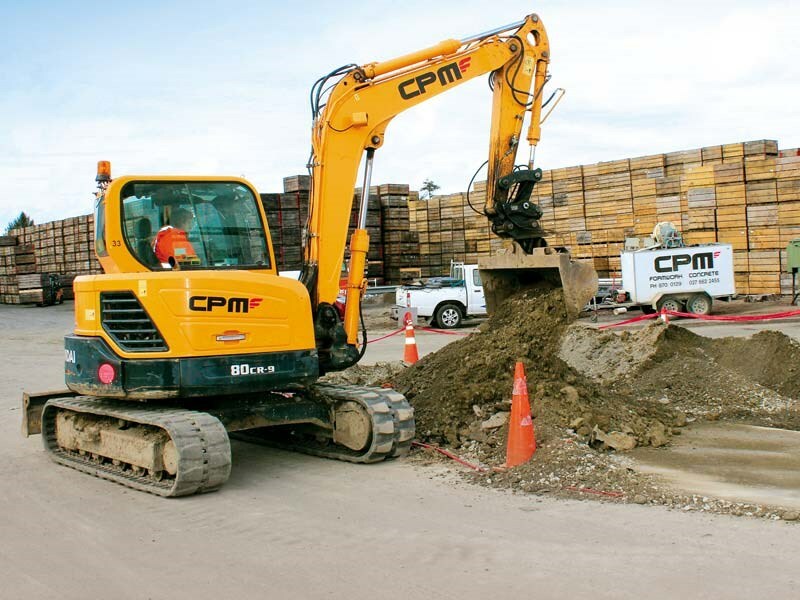 By default, Russell Roads (the CPM name will be absorbed over time) is now one of the bigger civil works companies in the Hawke’s Bay, with between 70 and 80 staff and three full-time mechanics. 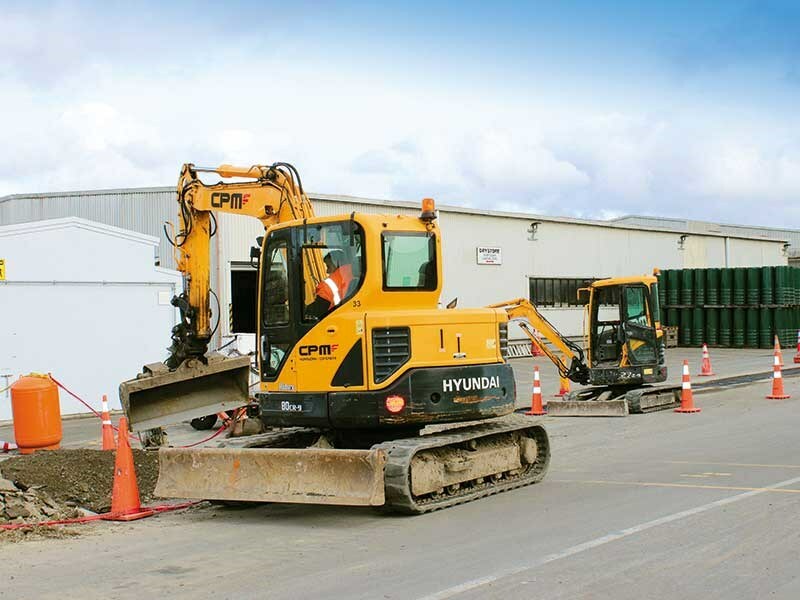 In addition to expanding premises in Hastings, where the company has just purchased additional workshop space, Russell Roads also operates a maintenance yard in Wairoa with six staff. Looking to the future, Pugh says he would like to see the company expanding from the Bay into the Taupo and Waikato regions too. Russell Roads also operates a quarry and will be manufacturing its own asphalt at a newly built asphalt plant nearby. Rapid growth? You bet. With the merger though, has there been a fair bit of machine fleet duplication that has needed to be tidied up? "Actually not really, firstly because the two companies as separate entities worked in relatively different disciplines; Russell Roads was a roading contractor primarily, while CPM was more of a concrete company dealing with smaller construction projects. "But also, because we are so busy, rather than replacing machinery we’ve actually needed additional plant. We will begin the process of updating existing gear eventually, but right now while we’re in this growth phase, we just need to ensure we have the tools to get all of our work done." 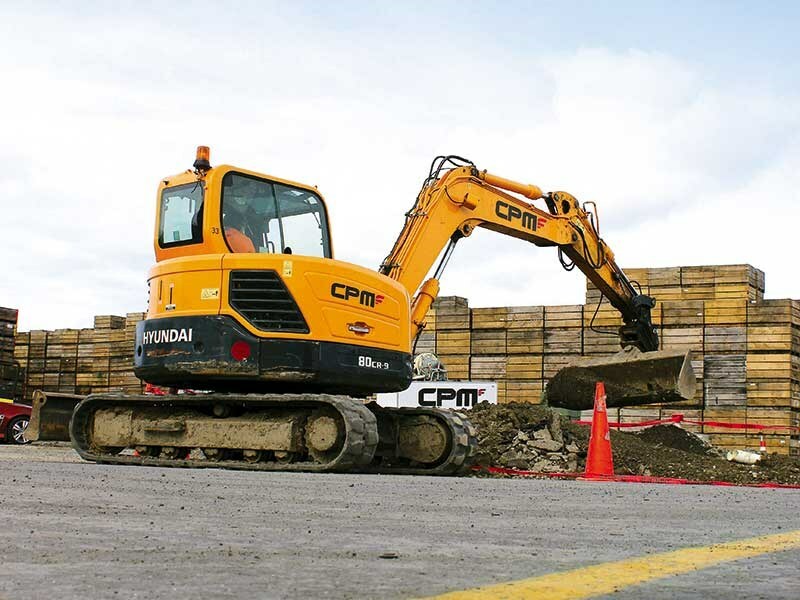 Prior to the merger, CPM was already a Porter Equipment customer; a relationship that continues under the Russell Roads banner. "When I was at CPM as a stand-alone company, we purchased approximately six excavators through Porter Equipment, as well as a roller. 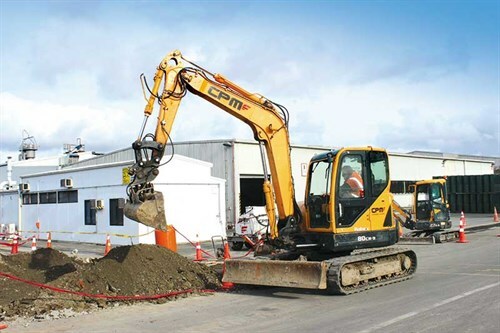 "Since the two companies’ combined, we’ve also bought a Hyundai R140LC-9 crawler excavator, a Hyundai R140W-9 wheeled excavator and an additional BOMAG roller," Pugh continues. "We have a very diverse portfolio of work now, of course. So we need a fair bit of variety in our fleet. 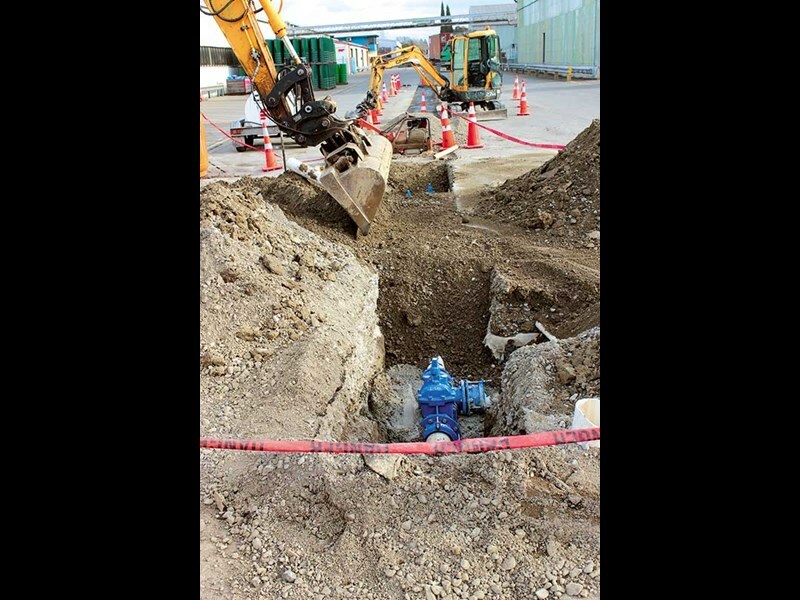 We complete a lot of footpath maintenance work for the Hawke’s Bay District Council, as well as kerb and channel work. The Hyundai mini diggers are great for this sort of work, and then the big 20-tonne machines come into their own on the larger roading work we are also involved in." Working on everything from short-run driveway construction jobs to multi-million dollar urban projects means Russell Roads need reliable and consistent parts and service back-up too. Once again, Porter Equipment has the company’s requirements covered. "Working with Porter equipment is great; they’ve got a firmly established local base which means we can get assistance in real-time. Also they have an excellent supply of wear parts, so we can go about our everyday work with more confidence that our machines are covered." Pugh says Hyundai machines are incredibly reliable, which is why the company is happy to continue buying into the brand’s technology and reliability. "I’ll be honest; we get other distributors knocking on our door, offering us all sorts of deals all the time. But we are more than happy to stick with both the Hyundai brand and Porter Equipment as a one-stop-shop distributor."